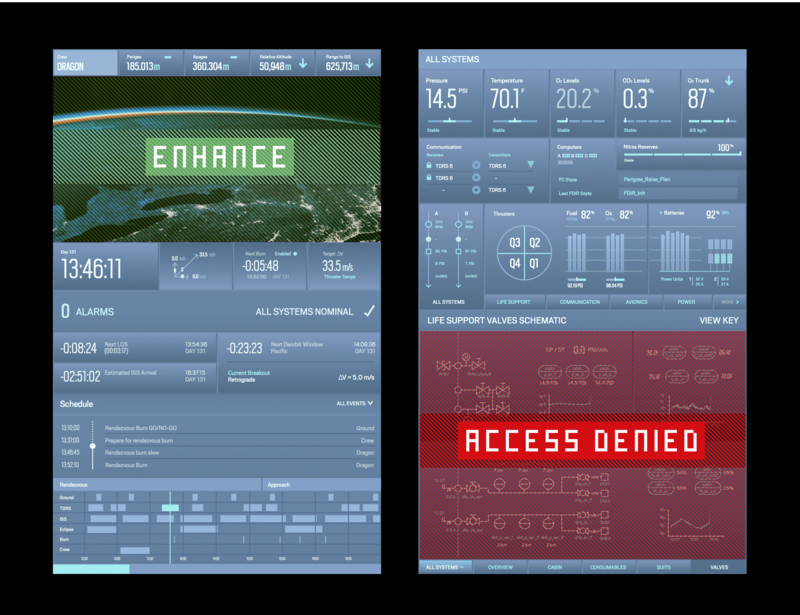 Came across an interesting Reddit thread about the new SpaceX Dragon 2 cockpit screens and how they were aesthetically more like FUI’s than GUI’s. 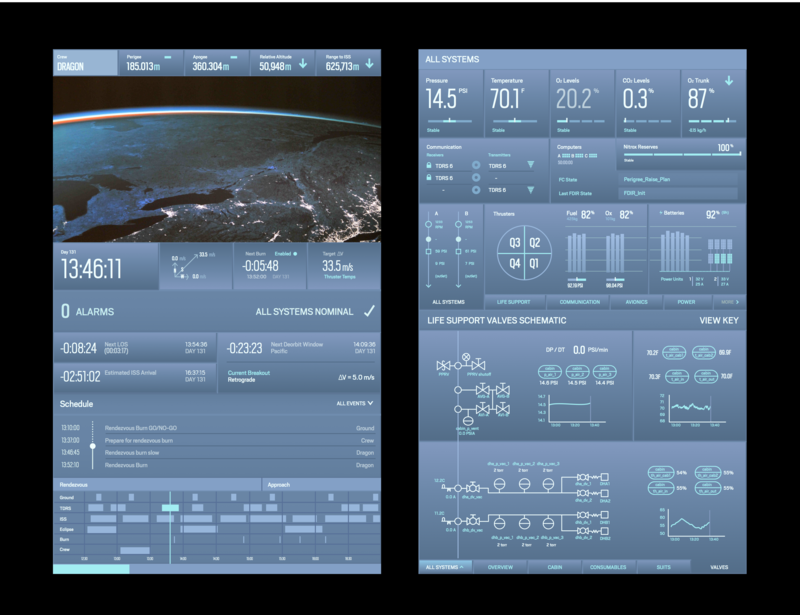 Reddit contributor, treeform did a great reproduction of the UI from the photos published at the Dragon 2 unveiling. I did think there were a few small details missing that would make it truly a FUI and couldn’t resist ‘improving’ treeforms great work. The last thing, I’m sure the Dragon pilots will want to see!